A great song is some sort of ethereal combination of lyrics and chords, everyone from Bob Dylan to Ed Sheeran has traded in the concept of the perfect song, the sort of thing that can be performed on an acoustic guitar and still sounds great. A great record is harder to pin down, there’s no reason for a great record to even have chord changes or lyrics but its probably got a certain something about it whether its the beat or a squiggly synth line that singles it out for greatness. There are times when its not about the song at all, its the performance or even the production that makes it special. And this is where the unsung hero comes it, someone who takes an average piece of music and makes it special. 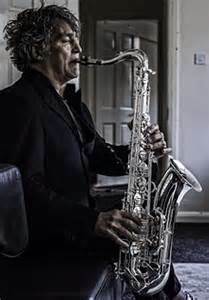 My number one unsung hero is the late Raphael Ravenscroft who played saxophone on Gerry Rafferty’s ‘Baker Street’. On it’s own the song is pretty dreary but is lifted to epic status by Ravenscroft’s eight bar Saxophone solo. In fact the second most epic thing about the recording is the production,arrangement and ‘seagull’ guitar solo both the work of Hugh Burns. The least important element is the song and the singer without which, of course, there would be no record in the first place. The creation of the sax riff is disputed, Ravenscroft said there were several gaps to fill and he was asked to fetch his alto sax and fill them. Rafferty later reported that he already had the ‘hook’ which was intended to be sung. Rafferty used the royalties for the hit single to drink himself to death so I suspect his is the less reliable testimony. It’s pretty usual for session musicians to be asked to ‘come up with something’ for a recording, they do it all the time. If you listen to the end of ‘Maggie May’ you can hear Jacka from Lindisfarne ‘coming up with something’ that shapes the whole recording. If you are a session musician it doesn’t matter what your creation is you still get paid a session fee whether its for three bars of congas or an epic saxophone hook. Rafferty had a huge hit on his hands number 3 in the UK and number 2 in the USA. Listen to Radio Two for thirty minutes and you will get to hear it . His City to City album also sold truckloads on the back of the single. Allegedly Rafferty earned £80,000 a year in royalties (mainly from Radio 2) while Ravenscroft got a £27.50 cheque for his session work. That’s the way it goes, Rafferty got lucky and Ravenscroft got paid. I like to think that Ravenscroft was the lucky one, he continued to work as a musician until his death playing with the likes of Pink Floyd, Mike Oldfield and Robert Plant. I’m sure he made a good job of whatever he did and could command a healthy fee in his role as celebrity sax player, apparently he could eventually charge £5,000 for a session. Most significantly he influenced music for the next few years and the saxophone became a desirable instrument for the first time since the 1940’s. I even bought one myself and invariably people would ask me ‘can you play that bit from Baker Street?’. Well I could but I never sounded half as good as Ravenscroft. And ultimately that’s what makes music really great, its not about the notes its about the feel and the sound and that’s not always something we can predict. Apparently Ravenscroft feels that his solo was actually slightly out of tune but nobody else cares because it sounded great. Here’s his own account of the session. This entry was posted in rock music and tagged 1970's, 70's biography, 70's music, Baker street, gerry rafferty, raphael ravenscroft, saxophone, session musicians. Bookmark the permalink.